The Revitol Anti Aging Cream is described as a cream formulated to target all types of aging including wrinkles, fine lines, sagging of the skin, and many others. In addition to that, it is also said to protect the skin from free radicals and environmental hazards. It has also been formulated to brighten dull skin and firm sagging skin. However, though you may find the claims about this product line to be quite spectacular on the company website, you are also likely to come across some negative Revitol Anti Aging Cream Review online, which suggest that the product doesn’t deliver stellar results. Founded in 2002, Revitol is a leading brand when it comes to health and beauty products. The company’s mission is to deliver safe and effective products that can help to keep the skin healthy and beautiful. They also say that they combine the best ingredients in the industry along with the breakthrough technology in all of their products to ensure their effectiveness. As, per the manufacturer, this Revitol Anti-Aging Cream has been on the market since 2016, and the company say that it has been formulated to reduce the look of wrinkles and diminish skin sagging after consistent use. Sadly, the company did not state as to how long you should wait to see the desired results. However, not everyone who tried it had the same experience. Others had sensitive reaction from it, and the oily problems did not go away. Primrose Oil: This contains gamma-linolenic acid that can inhibit skin aging. Edelweiss Extract: This is said to be a potent antioxidant that can fight off free radical damage but product with similar price tag can also give near to effects on skin. Pentacare NA: The company say that this can help in tightening the skin. Shea Butter: These is for soothing, nourishing and moisturizing skin so that it will return to its natural, healthy state after treatment. It also reduces skin Inflammation. However itchy rashes may be issue of concern! The cream is said to target all signs of aging. The company offers a money back guarantee. However, users claim that the process of returning the item is tedious. The company claims that the product contains only useful plant extract. The product does not deliver the exact mentioned results as well as take time to show visible effects. Some users experienced break outs after using the product. The list of ingredients of the cream is not fully disclosed. There is mixed information about the ingredients and prices of the cream online. 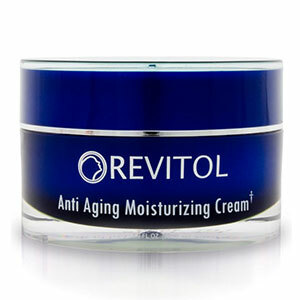 A 2 fl oz (60 ml) jar of Revitol Anti Aging cream is sold for a price of USD 34.99 per jar which can last for up to a month. You can buy it in retailer sites, but the price may vary. In this day and age when people are trying their best to keep their skin young and healthy, Anti-aging creams are everywhere. The claims of this cream are not unique—they are almost the same claims of other anti-aging products. So what makes this cream different? Apparently, this product is getting all the buzz because of all the good reasons. A lot of people claim that it really did wonders on their skin and that does not come as a surprise since it contains anti-aging ingredients that have been proven effective in diminishing wrinkles and fine lines. Does Revitol Anti Aging Cream Provides Guarantee? If you did not see any noticeable results after using the Revitol Anti-Aging Cream, you would be glad to know that the company offers a return policy of 90 days for all of their products. You can return the item within 90 days after the date of purchase to get a refund or an exchange.